What materials can be used as biomass fuel? Biomass materials can be derived from living organisms or things that have once lived. 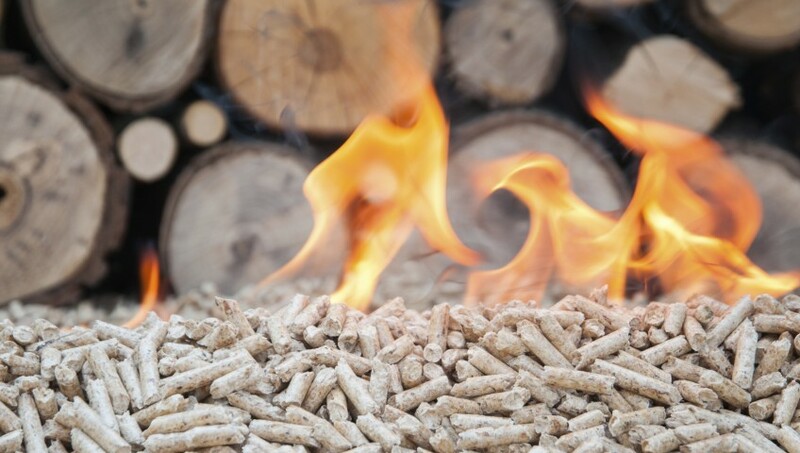 Biomass energy is more common than people may realise with many homeowners already burning these materials for heat. The fireplace that forms the centre of many living and communal spaces burns wood in order for heat energy to be released – the start of the biomass cycle! How is it converted into energy? To create energy that can be converted into practical power supplies, the biomass materials are burned. When heat energy is given off the burning waste it is directed to turbines with pipes. These pipes then turn a number of blades, turbines and generators – all of which are made from a series of coils and magnets. This then produces and electrical charge when the magnetic fields producing electricity and being stored as power. This method of obtaining and transforming heat energy into power that can be used for gas and electricity purposes is sustainable due to its low cost and simple process. Materials that are able to rot and decay (such as waste, animals and food) can also release the energy needed to supply power. When these materials decay, a gas called methane is released. This methane gas can spark a similar sequence than the burning does when capture in a microturbine machine and create an electrical charge that can be transformed into power. Why is biomass energy useful? Biomass energy is a source of renewable power, meaning it will never run out. Unlike the burning of fossil fuels like oil, gas and coal, they will never run out of supply and show no signs on having a negative impact on the environment throughout production. In 2013, over 556 thousand tonnes of waste was converted into biomass energy with this number is set to rise thanks to its many environmentally-friendly benefits. To enquire about how biomass can affect your home energy consumption, get in touch with Big Green Switch and let us help you on your journey to an energy efficient, sustainable and responsible home.